Trophy Club The Strand Condos: Very voluminous and bright second floor corner unit for sale in Trophy Club of The Strand. This large 3 + den, 3 bath with 2 car garage also has room for an elevator. This residence is tucked away on a quiet cul-de-sac in a quiet adjacent to a preserve and the clubhouse and pool. Enjoy the swaying palms and sunsets from your 2nd floor lanai with a coveted SW exposure. The Strand is in a convenient location in North Naples with easy access to all major thorough fares, the beach, shopping and dining. This prestigious Country Club offers social, sport and golf memberships including golf, tennis, bocce court, state of the art fitness, spa and a junior Olympic size pool. Grande Reserve The Strand Condos: PRIVATE ELEVATOR ! GOLF COURSE VIEWS ! Lovely and spacious second floor end unit condominium offering the hard to find features such as the larger floor plan of 2442 sq. ft under air, a private elevator, beautifully decorated with newer tile flooring, recently updated gorgeous kitchen with stainless appliances and beautiful cabinets, attractive Uba Tuba granite countertops, quarried in Brazil; 2 wall ovens and a built-in microwave; 2 master suites plus a 3rd bedroom or den, vaulted ceilings, tasteful decor, laundry room with laundry sink and extra cabinets, 2 car garage, large rear screened porch overlooks the golf course and a lake ! The A/C equipment is one year of age. This property in the much desired Strand community offers a social membership with the Strand clubhouse, dining, swimming pool, social facilities and a convenient location. Cable, internet, water and sewer are included in the condo fees as well as the recreational facilities, reserve, exterior maintenance, management and more. A beautiful property in sunny NaplesFL ! Mango Cay The Strand Condos: Gorgeous two story home, great location, close to shopping and dinning, easy access to I75, minutes away from the beautiful Naples beaches, fabulous club-house with lots of amenities and golfing. The home offers beautiful wood floors, granite counter tops in kitchen and bathrooms, designer draperies,led lighting on the patio, central vacuum, hurricane windows, Racedeck garage flooring, iAqualink pool system( the pool and spa can be controlled from a mobile device) and many more. The condo fees include roof repair and exterior painting in addition to landscaping, common area maintenance etc. Beautifully maintained home with private lanai pool and spa. Granite counter tops, high impact glass windows, wet bar and central vac are some of this home's offerings. Social membership is required and included in below listed fees. The Strand is an upscale Country Club offering outstanding amenities including a fabulous active clubhouse with dining, lap pool, bocce ball, pickle ball, basketball, tennis, play ground,etc. Golf membership is available. The Strand's central location is convenient to beaches, shops, restaurants, hospital etc. Grande Reserve The Strand Condos: Completely re-imagined. Many new and exciting things happening at The Strand. Come see for your self. Pinnacle The Strand Condos: C.14860 - Southern exposure 2nd floor corner residence with lovely lake and golf course views and just steps to the Pinnacle Clubhouse and pool. The main living area is tiled as well as the lanai. Electric storm shutters are in place on the lanai as well as Jenn Air grill. Wet bar and kitchen both have granite counter tops and Kitchen has stainless steel refrigerator, dishwasher and microwave. New washer and dryer as of 11/2018. Lots of pull out drawers in kitchen cabinets. Both baths have elevated counters. Bonus room/ third bedroom has built-in desk under window which is perfect as office space. AC and water heater have both been updated and washer and dryer new 11/2018. Discounted golf membership available. Agents see remarks regarding rental in place for season 2019. The Strand Club is undergoing significant improvements. The new perimeter wall has been approved and will be a stunning upgrade to the community. Outdoor dining areas have been enhanced, a new Tiki hut is scheduled for installation as well as new pickle ball courts. See attached membership information. Pinnacle The Strand Condos: C.15951 - Beautiful lake and golf course views from this 2nd floor end-unit condo with vaulted ceilings. Desirable Southern exposure allows wonderful natural light to filter in to this lovely 3+den, 2 bath condo with 2 car garage. Newer A/C in 2016, new SS dishwasher, freshly painted throughout. Granite kitchen counter tops and plantation shutters throughout. Just a short walk to the clubhouse, pool and grill. Livingston Road allows for easy access to Pinnacle through the rear north gate. Quick access to I-75 and a 30 minute drive to Southwest International Airport. The Strand offers a variety of golf memberships and dining membership. Amenities include world class golf, pro shop, tennis, fitness center, casual and formal dining. Make Pinnacle your next home and enjoy the wonderful amenities at The Strand. Pinnacle The Strand Condos: C.15305 Yes, you CAN have it all! This stunning 2nd floor sun-kissed end unit has a PRIVATE ELEVATOR and a rare 2-car garage. Gorgeous bright unit with soaring ceilings and huge lake- AND golf course views. Condo is freshly painted, living room sofa and chairs are brand new. Newer A/C, water heater and refrigerator. Electric storm shutters keep your investment safe in your absence. This large 2,150 square feet 3 bedrooms + den condo has plenty of room for you and your visitors and the split floor plan allows privacy for everyone. Pinnacle is one of the most sought after communities in the Strand; Newly renovated Pinnacle pool area with beautiful clubhouse, and easy access through the Livingston Road North gate in the back of the community. The Strand is a friendly community with endless amenities; main clubhouse facilities were recently updated. Start the perfect Florida lifestyle you've always wanted TODAY. Trophy Club The Strand Condos: Must see private, first floor two bedroom plus den with two baths situated on end of cul de sac with lots of privacy. Large spacious rooms and great for entertaining; The Strand offers full social calendar and plenty of amenities including wonderful 27 hole golf course, new pickle ball courts and 8 completely renovated tennis courts. Prime central location near shopping, dining and entertainment. Live the Florida lifestyle to the fullest here. Cypress Cove The Strand Condos: C.15721 - Excellent quality renovation in this first floor southern exposure corner residence with spectacular lake and golf course views of The Strand signature hole. All porcelain tile floors, complete kitchen renovation with white shaker style cabinetry, granite counter tops, glass tile back splash, Electrolux induction stove, Fisher & Paykel drawer dishwasher, custom drawers and pull out drawers in pantry. Master bath has natural stone counter tops and seamless glass shower and updated lighting and plumbing fixtures. Guest bath has step in shower, natural stone counter tops and updated light and plumbing fixtures. Lanai has tile floors and electric storm shutters in place. Garage is equipped with independent temperature control and phantom screen door. Fabulous property. Wine cooler in garage is included in the sale. Pinnacle The Strand Condos: THIS DESIGNER (ROBB-STUCKEY) FURNISHED "TURNKEY" WITH OVER ($150,000) IN UPGRADES IS MOVE-IN READY! THIS 4 BEDROOM (COULD BE DEN OR 4TH BEDROOM), BATHROOM, 2 CAR GARAGE SECOND FLOOR FAIRWAY VIEW STUNNING HOME. TILE FLOORS IN COMMON AREAS, KITCHEN HALLS & BATH AND FULLY TILED LANAI. CHEFS KITCHEN WITH ALL STAINLESS STEEL APPLIANCES. HUGE TILED LANAI WITH STUNNING GOLF COURSE/FAIRWAY VIEWS, ELECTRIC ROLL DOWN SHUTTERS AND A JENN-AIRE GRILL (GRANDFATHERED) NO OTHER UNITS CAN HAVE AN OUTDOOR GRILL. MASTER BEDROOM HAS LARGE WALK IN CLOSETS. DOUBLE SINKS, WALK IN SHOWER. SUPER LOCATION AWAY FROM I-75 & CONVENIENT TO REAR SECURITY GATE. GUEST PARKING IS VERY CONVENIENT TO THE UNIT. THE STRAND OFFERS WORLD-CLASS GOLF, COMMUNITY SUPER GRAND CLUBHOUSE WITH RESORT STYLE POOL, RESTAURANTS (CASUAL/FORMAL), BAR+LOUNGE, WORLD CLASS FITNESS CENTER, TENNIS COURT WITH PRO SHOP, PICKLEBALL, BOCCE, AND LIBRARY, HOME COMES WITH 1 YEAR HOME MAINTENANCE SERVICE WARRANTY FOR TOTAL PEACE OF MIND. Cypress Cove The Strand Condos: This first floor corner property is meticulously maintained thoughtfully upgraded and beautifully decorated. Perfect space for everyday living or entertaining with family and friends. Features long lake view with multiple fountains, view of waterfall from infinity pool at clubhouse. Home has granite countertops in the kitchen, newer appliances and unique cabinetry features, large custom California closets throughout providing plenty of storage space, plantation shutters, electric storm shutters in lanai, Berber rugs in the bedrooms, seamless glass master shower, a built in wall bed in the den along with cabinets and desk optimizing the space and providing a versatile living space. Pull down storage in Garage and finished floor. Conveniently located and within walking distance to Shopping Center. The Strand Main Clubhouse offer multiple dining venues, full social calendar, variety of social clubs and additional amenities. There is a 27 hole championship golf course in The Strand. There are a variety of membership options. This home is move-in ready! Clubside The Strand Condos: Beautiful 2 bedroom plus den turnkey furnished 2nd floor condo with expansive golf and lakes views! Huge kitchen with granite counters and stainless steel appliances with large eat in kitchen too. Two car garage with epoxy flooring finish with updated AC system. This gated community offers private membership, basketball, fitness center and clubhouse, community pool, bike and jog path, bocce court and pickeball all in this convenient location close to beaches, shopping and restaurants. Wedgewood Ii The Strand Condos: Welcome to the beautiful golf course view from this stunning, newly renovated 3 bedroom with detached garage Condo in The Strand Country Club at Wedgwood. No expense was spared in this custom remodel totaling over $100,000.00 with fully remolded kitchen, bathrooms and floors. This beautiful kitchen provides you with Stainless Steel appliances, Charleston White Cabinetry with soft close drawers, under mount lighting and quartz counter tops. The bathroom showers were installed with the Schluter waterproofing shower system and come with a 10 year warranty and custom tile-work. The Strand lifestyle offers you with Tennis, pool, Fitness Complex and a 27 hole golf course. Come and enjoy your new lifestyle at the Wedge Wood community in The Strand. Pinnacle The Strand Condos: C.16057 - Southern Exposure. Newly Painted & Absolutely Spotless! Gorgeous Views Of Lake And Golf Course. Fountains Galore Lighting Up In The Evening. This Home Has A Modified Floor Plan With A Huge 19' x 16' Media Room / or 3rd Bedroom. That Bonus Room Comes Complete With A Full Wall Unit Including The 60" TV And The Lovely Furnishings Along With Kitchen Furnishings, Lanai, Guest Room Furnishings & Sofa In Living Room. New Beautiful Wood Laminate Flooring In Great Room And Kitchen. New Carpeting In Master Bedroom, Stairs & Den. New Fans & Fixtures Throughout. 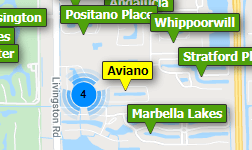 Conveniently Located In The Heart Of North Naples. The Strand Is An Active, Year-Round Social Community That Offers Almost Every Amenity And Convenience To Owners At Their Disposal Which Includes One Of The Most Pristine 27 Hole Golf Courses, New Pickle Ball Courts, Resurfaced Tennis Courts, Bocce Ball, State Of The Art Fitness Center w/ New Equipment, Jr Olympic Size Pool w/ Pool-Side Food & Drinks And Fine Dining & Dancing At Clubhouse. Pinnacle The Strand Condos: REDUCED! Motivated Sellers. Truly a rare opportunity to own a first-floor condo in Pinnacle with over $50,000 in upgrades! Meticulously kept with endless features…offering an Enclosed Lanai with Composite Panels, BRAND NEW IMPACT GLASS on ALL windows ($10,000 value) , Radon Mitigation System, Newer WIFI Lennox High-efficiency AC System, Whole-house Water Filtration System, WIFI Garage Door Opener, Insulated Garage Door, newer Water Heater, Double-Oven…the list goes on! The moment you enter this incredible coach home you will be amazed by the beauty of the hardwood floors and full-wall book shelf in one of the guest bedrooms.. All this with a golf course view and much preferred Northern exposure! Pinnacle Clubhouse was recently updated and deserves a look. Call today for your private showing! Grande Reserve The Strand Condos: C.15272 -Tranquility With A View! Picture Yourself Enjoying Sunny Florida Weather And Gazing Out At The Gorgeous Golf Course From Your Lanai; All Replaced With Brand New Aluminum Framing And No See-Um Screens. This Home Has Been Impeccably Maintained, New Window Treatments, Updated AC, New Carpeting In Bedrooms And Garage Has Received A Facelift With Epoxy Coating. Conveniently Located In The Heart Of North Naples. The Strand Is An Active, Year-Round Social Community That Offers Almost Every Amenity And Convenience To Owners At Their Disposal Which Includes One Of The Most Pristine 27 Hole Golf Courses, New Pickle Ball Courts, Resurfaced Tennis Courts, Bocce Ball, State Of The Art Fitness Center w/ New Equipment, Jr Olympic Size Pool w/ Pool-Side Food & Drinks And Fine Dining & Dancing At Clubhouse. Cypress Cove The Strand Condos: Beautiful first floor coach home with 2 car attached garage, 3 Bedrooms/2 baths, well equipped open kitchen plan, and an expansive screened lanai with tranquil views. Southern exposure with view of golf Course. Renovated from floor to ceiling. Tile Throughout including lanai. New appliances throughout. A/c only 3 years old. The Strand offers one of the most elegant Clubhouses in North Naples, with lots of seasonal events and activities, and the gated community also offers easy access to I-75, Olde Naples downtown, Waterside Shoppes the Mercato and close to beaches. Golf memberships are available. Pets are allowed. Cypress Cove The Strand Condos: This first floor unit has just been updated. It has new flooring with rich laminate in the living and kitchen areas, carpet in the bedrooms and tile in the baths, laundry and garage area. The kitchen had raised panel cabinets with granite counters. The ceilings are high being 9 ft tall with 8 ft glass sliding doors in the back. The water view is great with a fountain the middle of the lake. All the appliances are new and this unit is in "Move In" ready condition. Come and see this unit today before someone else gets it! Wedgewood Ii The Strand Condos: Like walking into a model home. You will love what you see. From the impact windows to the new baths its all done for you. Breathtaking view. The Club at The Strand opened November 1997 and is ideally located at Immokalee and I-75 in the prestigious North Naples area. The club was developed with world class style where its members can relax in an elegant yet comfortable atmosphere while relaxing in the 55,000 sq. ft. Clubhouse. Multiple dining venues are enjoyed whether it be outside or indoors for dining. We offer a full Social calendar including dinner dances, wine tastings, themed parties, casino night, comedian, dueling pianos, farmers market, holiday events and much more. Cypress Cove The Strand Condos: C.14708 LOWEST PRICED FIRST FLOOR THREE BEDROOM IN CYPRESS COVE. MOTIVATED SELLER. AWESOME VIEW ... GREAT LOCATION. The moment you walk in the front door you will see, water and more water. First floor condo with total privacy because there are no other buildings behind your lanai. Did we mention "no stairs"? Great investment with a good rental history. All new stainless steel appliances and a wonderful floor plan. Cypress Cove is close to the entrance of The Strand and walking distance to the Publix shopping center. Short drive to the beaches, Mercato, Waterside and Olde Naples. The community infinity edge pool with waterfall and large lake views is yours to enjoy along with a Clubhouse and BBQ area. The well appointed Strand Club, with an active social calendar, offers a Junior Olympic pool, formal dining and grill room, 8 Har-Tru tennis courts, fitness complex, spa, bocce ball and pickle ball courts, and basketball. Full golf, single golf, or sports memberships with 27 holes of Gordon Lewis Championship Golf are available. HOME WARRANTY included for peace of mind. Seller says "SELL" and will consider all offers. Make an appointment to view this SPECIAL CONDO today. Wedge Wood At The Strand The Strand Condos: C.15658 - Fantastic new upgrades to this 2nd floor residence with fabulous sunset views over lake and golf course! Some of those upgrades include new CoreTec wood floors, new seamless glass master shower, stainless steel appliances and electric storm protection on lanai. Brushed chrome hardware in kitchen and baths finishes those areas nicely. This property sits in a lovely private location with lots of extra parking close by. The recently updated community clubhouse, adjacent to the heated swimming pool, is used regularly for seasonal events, clubs and relaxation. A friendly community in a great location with easy access to The Strand north gate. Wedge Wood At The Strand The Strand Condos: C.15588 - Quality finishes and pristine condition for this first floor property with handsome large porcelain tile, granite counter tops, crown moldings and upgraded lighting and fan fixtures. HVAC installed in 2016 and Hot water heater in 2014. Good quality furnishings and accessories in excellent condition. . Enjoy the serene golf course views and the convenience of being just steps away from the lovely updated community pool and clubhouse. Lots of guest parking close by. The Strand is an active community with plenty of opportunity to participate in golf, tennis and pickle ball as well as the Strand Sisters organization with monthly presentations/speakers and lunches as well as fitness classes and individual fitness training. A great place to live. Wedge Wood At The Strand The Strand Condos: C.15200 - Lovely location with gorgeous golf course and lake views from this 2nd floor property with soaring ceilings and within walking distance to community pool and clubhouse. Flooring and AC have already been updated for you in this one. Gorgeous wood floors throughout the living area, hallways and den as well as a tiled lanai floor. Neutral solid surface counter tops in kitchen. Transitional furnishings enhance the living space and lend themselves to most decor choices. Just steps away from community pool and clubhouse this is the perfect winter get away or permanent full time residence. Lots of overflow parking available. Enjoy the lovely community paver walkways and driveways. Enjoy the upgraded amenities of The Strand Country Club with newly surfaced tennis courts and new pickle ball courts. Call Hilda or Shelly at the club to get the latest updates and plans. Wedgewood Ii The Strand Condos: Popular first floor end unit in the sought after gated community of The Strand, subdivision Wedge Wood. This home has beautiful golf course and lake views and is at a terrific location within the community. Featuring 2 + Den with a split floorplan and open living area. The master bath was remodeled, newer appliances, new water heater. Detached 1 car garage and screened lanai with hurricane roll down shutters! The Strand is located in N. Naples right off Immokalee road. Four membership options available from social, club, sports and golf! Call today for more info. Need professional assistance selling your property at The Strand Naples? Find out how an Area Specialist can help to generate more property exposure in order to get the most money for your investment in the least amount of time.